Occurring on 13 January 1942, this was a British seizure of Axis shipping in Santa Isabel harbour on the neutral Spanish island of Fernando Pó (now Bioko in Equatorial Guinea) in the Gulf of Guinea off the west coast of Africa. The operation was undertaken by the Special Operations Executive’s ‘Maid Honor’ Force, so-named for its vessel, the ex-Brixham trawler Maid Honor. The force was at this time operating in the Gulf of Guinea with the primary task of searching for clandestine bases which might be used by U-boats preying on Allied merchant shipping plying the routes from South America and South Africa to the UK, but in ‘Postmaster’ the men of Major Gustavus March-Phillipps’s force arrived in two tugs and towed away three Axis merchant vessels. In 1941 the British had begun to receive reports that U-boats were using river estuaries in Vichy French Equatorial Africa as refuelling bases. The unit selected to investigate the reports was the Small Scale Raiding Force (otherwise No. 62 Commando), which had been formed in 1941 and currently comprised 55 commando-trained personnel working with the Special Operations Executive. Commanded by March-Phillipps, the SSRF came under the operational control of the Combined Operations Headquarters. Maid Honor, a 65-ton Brixham sailing trawler, departed Poole on the south coast of Dorset on 9 August 1941, bound for West Africa with a five-man crew under March-Phillipps. The rest of the SSRF, under the command of Captain Geoffrey Appleyard, had departed earlier aboard a troop transport ship. On 20 September Maid Honor reached Freetown, Sierra Leone, which Appleyard’s party had reached at the end of August. The search for the U-boat bases now started, but the SSRF found no evidence of U-boat activities in the course of its forays into many of the area’s rivers and deltas. The SOE maintained a presence in West Africa for the observation of Vichy French, Spanish and Portuguese territories and the detection and subsequent hindering of any activities that might threaten the UK’s colonies in West Africa. 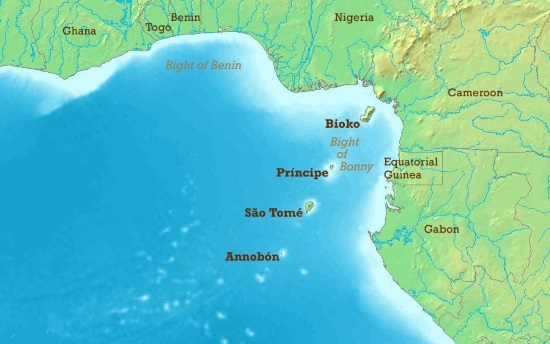 While the SSRF searched for U-boat bases, SOE agents had learned that there were three Axis vessels in the port of Santa Isabel on the Spanish island of Fernando Po some 20 miles (32 km) off the coast of Africa near the border of Nigeria and Guinea. These ships were the 8,500-ton Italian Duchessa d’Aosta, large German tug Likomba, and diesel-powered barge Bibundi. Duchessa d’Aosta was equipped with radio, and was therefore perceived as a threat for her potential to provide details of Allied naval movements. Her declared cargo was 1,340 tons of wool, 141.33 tons of hides and skins, 580 tons of tanning materials, 1,786 tons of copra, 243.15 tons of crude asbestos fibre and more than 11 million ingots of electrolytic copper. The first page of the ship’s cargo manifest was not presented to the port authorities and the ship’s captain refused to provide any details, and this led to speculation that the ship was also carrying arms and/or ammunition. Leonard Guise, an SOE operative, visited the island and kept the ships under observation, and in August 1941 submitted a plan to seize Likomba and disable Duchessa d’Aosta. The Admiralty approved a military operation, despite the fact that it would take place in a neutral port, on 20 November 1941. To transport the raiders to the island, the tugs Vulcan and Nuneaton were provided by the Nigerian colonial administration. The chosen raiding force was 32 men in the form of four SOE agents, 11 SSRF commandos and 17 men recruited from the local population as crew for the tugs. The mission suffered a blow when General Sir George Giffard, the British military commander in West Africa, refused to support the mission and would not release the 17 men required on the grounds that the undertaking would compromise some unnamed plans he had in mind and that what was in law an act of piracy would have significant repercussions. The Admiralty then suspended the operation, with the initial approval of the Foreign Office. Final approval for the operation, with which the Foreign Office later concurred, was granted on 6 January 1942 with the proviso that there should be no tangible proof of the British involvement. 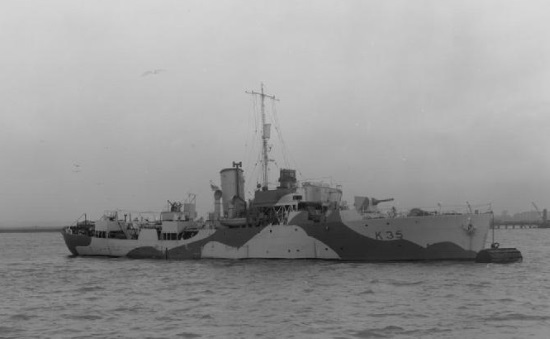 As a safeguard the Admiralty also despatched the corvette Violet to intercept the vessels at sea, thereby opening the possibility of a cover story that the ships had been intercepted while trying to make their way home to Europe. Richard Lippett, an SOE operative, had meanwhile obtained employment with the shipping company John Holt & Co. of Liverpool, which had business offices on the island. Having taken up the post, Lippett started to make preparations for the raid. He became aware that Duchessa d’Aosta’s crew regularly accepted invitations to parties ashore and had held a party aboard ship on 6 January 1942. Under the guise of a party-goer, Lippett managed to gain information about the readiness of the ship for sea, crew numbers, and the watch arrangements. The raiding force departed Lagos in Nigeria aboard its two tugs on the morning of 11 January, and while at sea practised lowering Folbots and boarding ships at sea under the command of Captain Graham Hayes. The raiders approached Santa Isabel harbour, and at 23.15 and 23.30 on 14 January 1942 the two tugs were in position 200 yards (180 m) off the harbour entrance. Onshore, Lippett had arranged for Duchessa d’Aosta’s officers to be invited to a dinner party, which was also attended by 12 Italian officers and two German officers from Likomba. The boarding parties assembled on the decks of the two tugs as they entered the harbour. Vulcan, with March-Phillipps and Appleyard, his second in command, on board, headed for Duchessa d’Aosta. As Vulcan approached, a few men could be seen on the after deck of the merchant vessel, but appeared to take no notice of the tug other than to shine a torch in its direction. At the same time, Folbots under the command of Hayes from Nuneaton, were being paddled toward Likomba and Burundi, which were moored together. Challenged by a watchman on Burundi, they persuaded him with their reply that it was the ship’s captain coming back on board. The men from the canoes boarded Burundi and the two men of the watch crew jumped overboard. After planting explosive charges on the anchor chain, the commandos guided Nuneaton alongside Likomba to take her and Burundi in tow. As soon as they were ready, the charges were blown and Nuneaton began to tow Likomba out of the harbour. Meanwhile, 11 men from Vulcan had managed to board Duchessa d’Aosta, and while one group planted charges on the anchor chains, another searched below decks and collected prisoners. Once the anchor chains had been severed, Vulcan started to tow Duchessa d’Aosta out of the harbour. The explosions had alerted the population of the town, who started to gather on the pier, but no attempts were made to stop the ships from leaving. Several anti-aircraft emplacements opened fire at imaginary targets, believing the explosions to be the result of an air attack, but the 150-mm (5.9-in) guns protecting the harbour itself remained silent. From entering the harbour to leaving with the ships under tow, the operation had taken only 30 minutes and the raiding party had suffered no losses while taking 29 prisoners as well as the three vessels. During the evening of the following day the SSRF force began to experience problems with the tugs’ engines and the tow ropes, but one day later Vulcan reached the rendezvous and was ‘captured’ by Violet. Nuneaton managed to contact the Nigerian collier Ilorin by semaphore, which in turn contacted Lagos by radio, and a ship was dispatched to tow them into port. Maid Honor remained in Lagos and eventually sold to the Sierra Leone government. Duchess d’Aosta was sailed to Greenock and then managed by Canadian Pacific as Empire Yukon for the Ministry of War Transport. Likomba was managed by the Elder Dempster Lines, who renamed the vessel Malakel in 1947 and sold her to Liberia in 1948. My father was on he Maid Honor while they were in West Africa, so i was very interesting to read about Operation Postmaster. Great Website !! Fasinating stories of little known operations that help to show how really world wide World War 2 was. There is no telling how many lives were saved by this operation back then or even now, but I am sure it did make a huge contribution towards the final allied victory in the battle of the Alantic Ocean. Small tidbits of information about operations like this one are as great a contribution to the military history of WW2 as well as giving light of day to those who carried out such operations. Kudo’s to the families of those special personel and their bravery. E.A. Kia or a from New Zealand, my father was one of the 17 civilian volunteers who took apart in Postmaster. He was Hubert Haynes Jeffers and was acting Principal at Kings College Lagos. I have a ‘souvenir ‘ given to him in recognition of his part in the raid. It is a silver dish with the Royal Crest engraved and a date 1942 inscribed also. Does anyone else have one ? The military personnel were awarded full honours but the volunteers were not able to be recognised / rewarded. They were so brave and had no idea what they were getting into or the possible consequences. They were the first Cockelshell Hero’s. Hi, answer to Philippa Field, my father was also on Operation Postmaster, we dont have a silver dish but we do have some post cards of the Duchessa d Aosta and a few photos of his time in West Africa. Would you be interesed in having contakt with me? Mariann Eviosn.